Violet color. 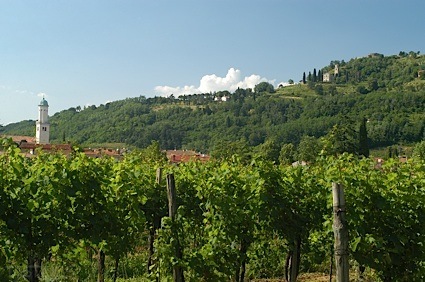 Fruity, creamy aromas and flavors of chocolate berries and cherries, caramelized bacon, and toast with nutella with a silky, vibrant, fruity medium-to-full body and a delightful, medium-length finish that exhibits accents of lemon and watermelon sorbet and buttery praline with soft tannins and a suggestion of oak flavor. A very juicy, fruity, crowd pleasing cabernet. Bottom Line: A very juicy, fruity, crowd pleasing cabernet. 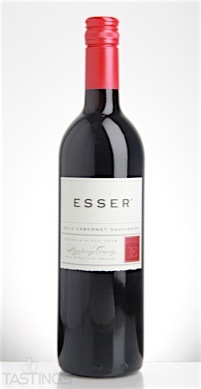 Esser Vineyards 2013 Cabernet Sauvignon, Monterey County rating was calculated by tastings.com to be 90 points out of 100 on 9/26/2016. Please note that MSRP may have changed since the date of our review.